One Stop Promotions are a leading UK supplier of promotional merchandise and custom printed gifts. With thousands of products, alongside a worldwide sourcing network, 30 staff work throughout the warehouse and office. 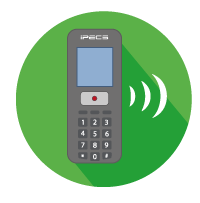 Introduced iPECS UCP 100, LIP-9020 & LIP-9030 handsets, UCS Desktop and Mobile, SLT wireless handsets, as well as Hunt Groups – with dedicated ring tones, voicemail to email, and remote working.